Sunday evening, Moscow. Half past midnight. Slowly but steadily, the compartments start moving. People settling down in what can be called the largest dorm room on wheels ever. The space you have for yourself is doubled by the space designated for your baggage. No wonder. Some travel over 8000 km to get to Khabarovsk which is the final destination for this particular connection. 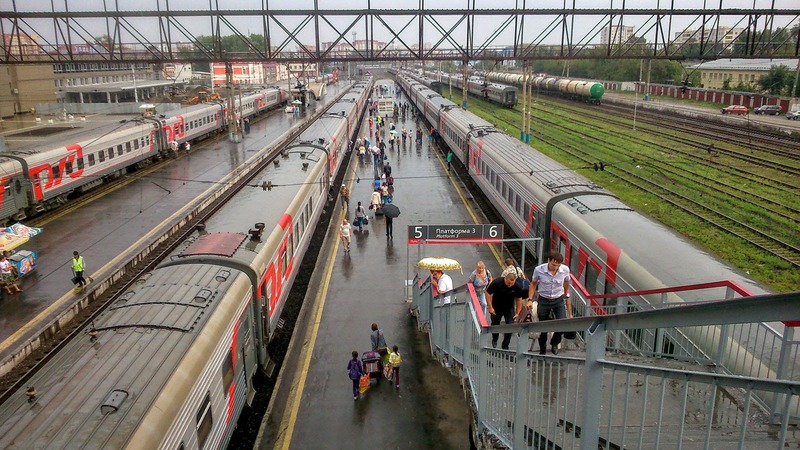 In Moscow, the international and long distance trains often part from Yaroslavsky Vokzal being a gate to Siberia and Russia Far-East. It looks like a dome taken straight from a fairytale of some kind. It's the part of the Trans-Siberian railway which spreads across Russia and it's an immense project of it's own which we get to know in practice by going most of it's route. First construction works started after 1891 after Russian government issued an imperial rescript announcing the project to construct a railway going through Siberia. The engineers started working from both sides – Moscow and Vladivostok and completed the construction in 1916. The electrification of the line has taken over 70 years (1929 – 2002) during which new destinations came to existence. The most popular being: The Trans-Siberian railway. Our train follows this route but stops 1400 km earlier in Khabarovsk. 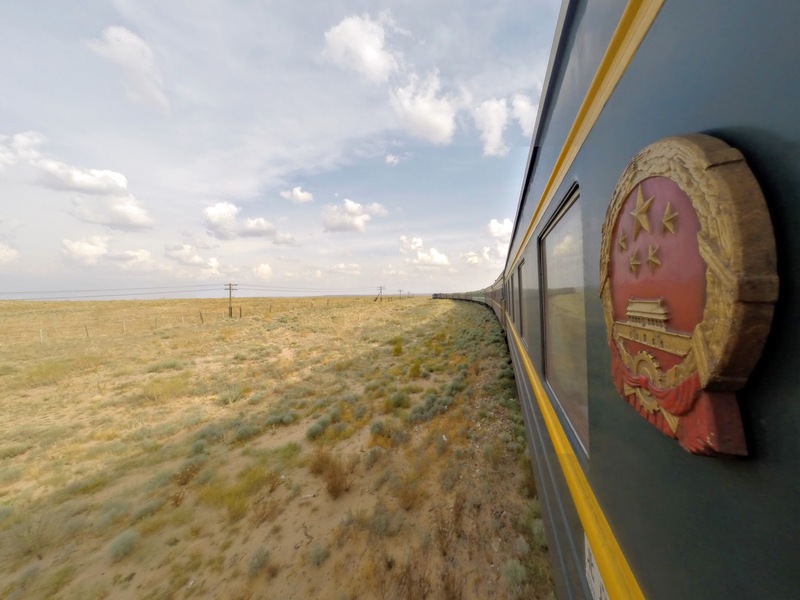 The Trans-Mongolian is starting similar as the Trans-Siberian but going through Ulan-Bator, the Gobi desert, crossing the Chinese border in Erenhot and going to Beijing (5600 km). Another train on this route, the Trans-Manchurian, is coinciding with the Trans-Siberian to Tarskaya and, afterwards, heading southeast via Harbin to Beijing (8994 km). People start getting ready for the travel. 52 berths in platskartny (ru. ÐŸÐ»Ð°Ñ†ÐºÐ°Ñ€Ñ‚Ð½Ñ‹Ð¹, commonly referred to as platskart) class are packed full. It's the cheapest option to travel around Russia as it's the lowest class available. There are no compartments. Thin plywood separates groups of 4 beds on one side (placed horizontally) and groups of 2 on the other (placed vertically). This fosters smalltalk and getting to know each other as well as a variety of smells colliding with one another. 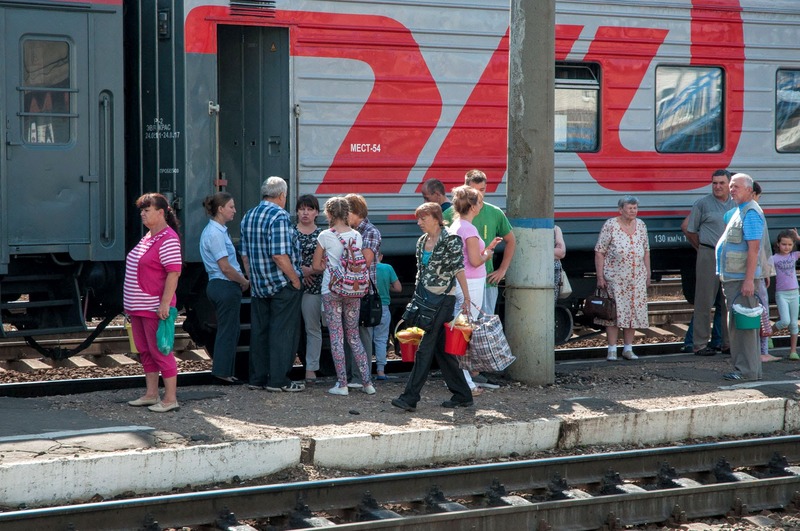 The first part of our journey will take 3,5 days of constant travel on board of RZD (ru. Ð Ð–Ð”) national carrier operating through Russia and on some international routes. After this time we will be in Siberian city of Irkutsk. In few hours each compartment becomes a community of it's own. The head of which is always the provodnik (male) or provodnitsa (female) being the equivalent of a conductor. They have the responsibility to keep everything tip-top during the journey. They check if all the rules are obeyed, keep everyone safe, clean the compartment and give signal for departure. Living in their own, small room at the end of the carriage where they sleep, sell some snacks and, sometimes, illegally, booze. As for the latter, officially you can't drink on board in 3rd class apart from the restaurant. Practically, this rule is not obeyed by all. If you stay quiet and nobody complains – you can do what you want. No smoking though. There are often two people having the role of provodnik / provodnitsa and work in shifts to cover 24 hours of service. 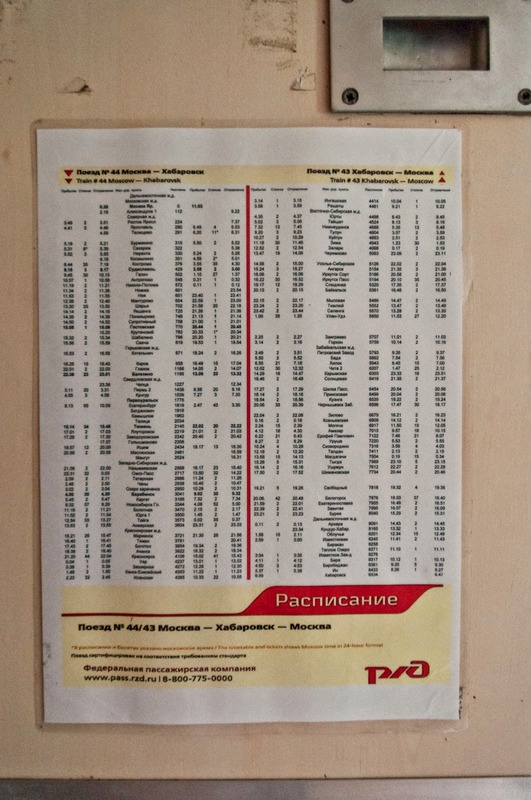 Next to their compartment you will find the schedule to which the train adheres. There is no indulgence. Russian trains arrive and depart perfectly as a Shinkansen in Japan. Only the standard, technology and speed are different. The schedule itself is a great checkpoint. All times are given in Moscow time (GMT+3) as the train goes through several time-zones along the way and it would be hard to keep up with the changes. Between Moscow and Irkutsk (where we're heading) is 5 hours difference (GMT+3 vs. GMT+8). The schedule also gives you a chance to go shopping if there is a longer stop as it provides the information on how long the train is staying on a particular station. Each 24 hours there are three to five stops of minimum 20 minutes. The longest ones reach 40-50 minutes. At the end of the corridor you will also find the toilets. You might think – well, nothing new. They are not of the highest standard, so to say, and till the end of your journey they will be not only your toilet but kitchen and shower as well. There is a bucket in each which you can use to fill with water after soaping up and quickly wash yourself. You won't flood the room as there is a small hole in the floor to prevent that. It's also the place where you wash your dishes if needed. In the morning and evening there might be some queues as people are waking up or going to sleep and want to keep clean. In the morning, on a hot summer day, on board of #044 train, people started to notice that we are not locals. First acquaintances, and sometimes even friendships, started. Vitaliy who was a chatty fellow and wanted to get to know the travellers better initiated the first conversation. After few shots of Zelenaya Marka vodka (ru. Ð·ÐµÐ»Ñ‘Ð½Ð°Ñ Ð¼Ð°Ñ€ÐºÐ°) later we started to get more acquainted and Vitaliy has told us his story. Together with his family (whose most of the members he told us about as well) he was leaving the city of Luhansk in Ukraine where the war with Russia has spread. Escaping the war zone to Khabarovsk with all that he could carry was the plan. Together with him was his wife and daughter. In exchange for vodka, out of courtesy, he shared what his region was known for: processed cheese. It was quite good as an appetizer (ru. Ð·Ð°ÐºÑƒÑÐºÐ°) for the high volume liquor that we were drinking. 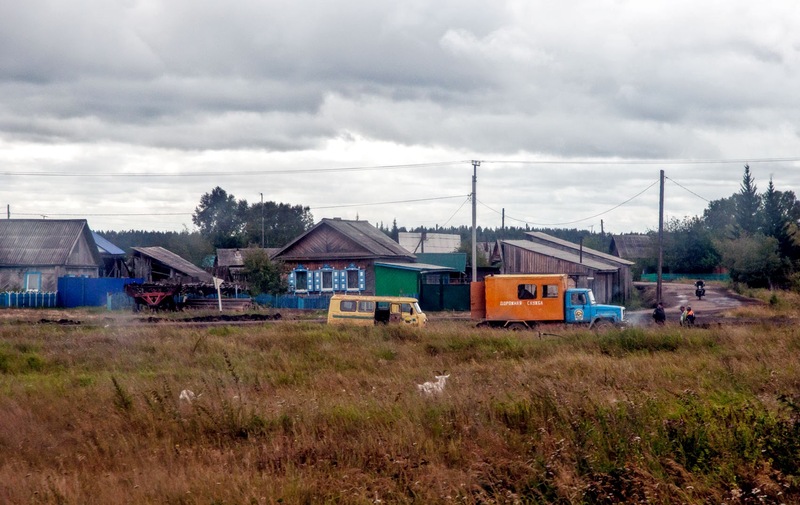 Our train was riding relentlessly through vast terrains of taiga. The first longer stop was after 1819 km of the journey in Yekaterinburg (Sverdlovsk region) around nine in the morning. It was a third of the route we were to follow. The city itself could be found as symbolic as it was located in the middle of the Eurasian continent, on the border of Europe and Asia. 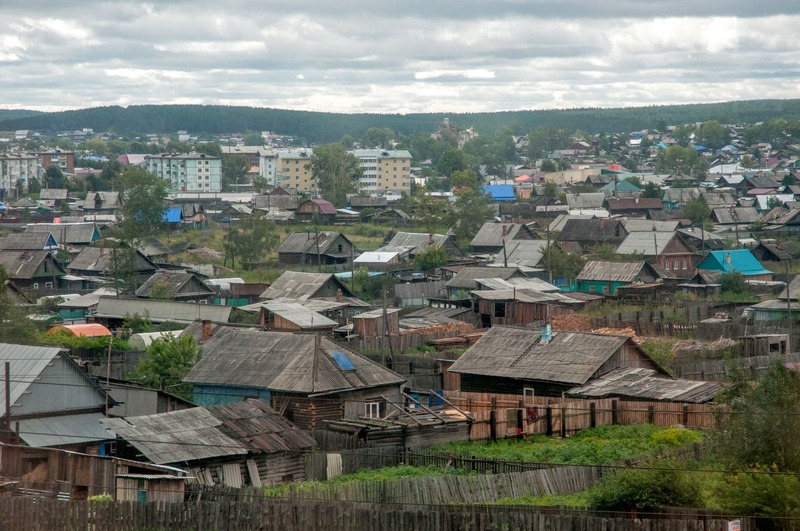 The more memorable for us, though, was located 300 km away Tyumen – the first Russian settlement in Siberia. 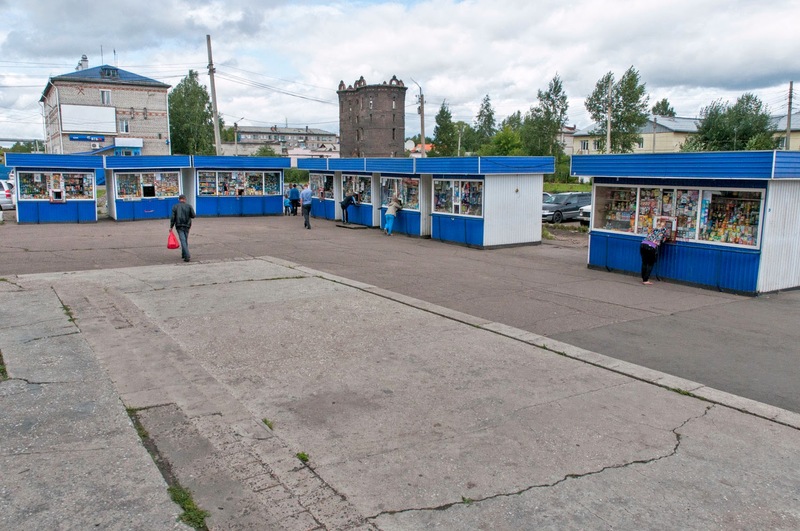 As mentioned earlier there are longer and shorter stops on the Trans-Siberian route. Still, even when having 50 minutes, synchronizing your watch with provodnik / provotitsa can increase your chances of not being late and left on your own (nobody will wait) or run as hell because the train is about to leave and the staff are closing the doors. The latter was tested empirically on a hot day with only flip flops and shorts on in Tyumen. It would be an adventure of it's own to be left only in the mentioned configuration. On the other hand, knowing the hospitality of Russian people we would quickly be welcomed in somebody's home and starting to sort things out. Still, it would be without the baggage where we had our basic stuff. 48 hours have passed while travelling through vast terrains of Russia and crossing different time-zones. You get to know how your body adjusts to the time changing. Having set the watches to Moscow time alone we were waking up each day later to reach a peak of getting up at 1 pm (while normally 8-9 am). We also adjusted to the earlier mentioned schedule. As for the schedule – it's your main source of information about the longer stops when you can also buy things. It's best to buy as you go rather than stack up for the whole road. By doing this you can taste local cuisine and have always fresh foodstuffs. The longer the distance from Moscow the cheaper the products are (apart from the local ones). For instance, if you plan on buying caviar – you will find it cheapest around the Baikal. Another thing are the fish – again around Baikal you can buy tasty omul which is endemic the lake and cannot be bought anywhere else. It's a whitefish species of the salmon family. It's not that cheap as the rest of products in the countryside though. 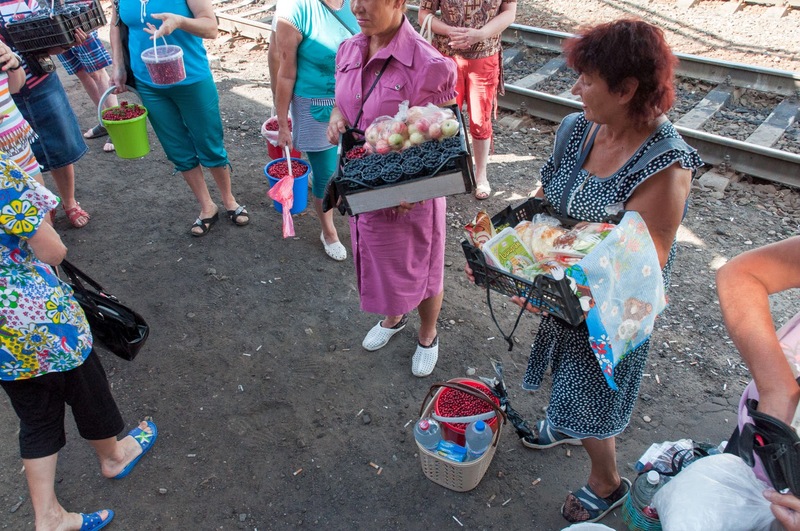 On many of the platforms where train stops for 10 minutes or longer you will find local women waiting for the travellers to offer local fruits (like berries, apples), cold drinks from buckets full of ice (in the summer) or ready meals such as dumplings (ru. Ð¿ÐµÐ»ÑŒÐ¼ÐµÐ½Ð¸), blinis (ru. Ð±Ð»Ð¸Ð½Ñ‹), cutlets (ru. ÐºÐ¾Ñ‚Ð»ÐµÑ‚Ð°). Sometimes you can also get ice cream, instant soups and cans with preserved food. It's worth that you negotiate the prices as often these goods are overpriced though their price seems like a bargain for a western traveller. You can check it by comparing the prices from the women to those in kiosks on the train station. That's another thing. Often there are several kiosks on the station selling similar foodstuffs as on the platform (apart from fruits). I'd say that those sold by the women tend to be more fresh. As when the food is concerned, do always have a bottle of water or two next to you when travelling in the summer time. The heat can be tiring and a nice bottle of (cold) water will ease the pain. We were 3344 kilometers from Moscow. 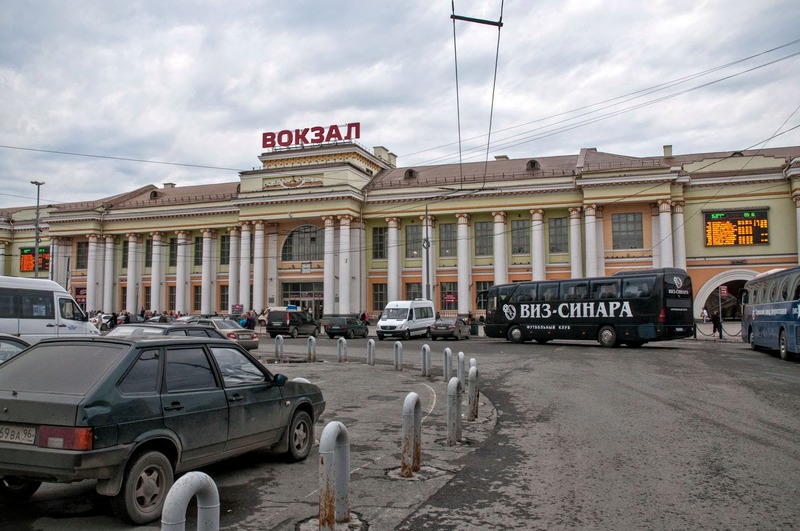 Next stop – Novosibirsk – the third most populous city in Russia right after Moscow and St. Petersburg. It also marks â…” of our journey. We're staying here for 52 minutes. The plan is to check out the city and buy some ryazhenka (ru. pÑÐ¶ÐµÐ½ÐºÐ°) – a traditional Russian and Ukrainian fermented milk that perfectly quenches thirst. Fifty minutes is not long when you see the city for the first time, quickly check it out and manage to get back on track. Ryazhenka bought, some of us has also took some cash from the ATM which were not that common on most of the stations that the train visited. We were good to go. On the way to Irkutsk we also met Mammed. Mammed was a Kurd living in Russia, north of Kazakhstan. He was a very sociable companion and we spend quite some time on the way before his departure in Krasnoyarsk. Having exchanged stories, played the most famous Russian card game durak (en. fool) and enjoying the time he became our friend. Mammed visited us each day offering flatbread similar to naan which he had taken from his home and telling stories about himself and his family. During this time he decided to nickname all of us as: the miner (ru. ÑˆÐ°Ñ…Ñ‚ÐµÑ€), the hooligan (ru. Ñ…ÑƒÐ»Ð¸Ð³Ð°Ð½), the professor (ru. Ð¿Ñ€Ð¾Ñ„ÐµÑÑÐ¾Ñ€) and the historian (ru. Ð¸ÑÑ‚Ð¾Ñ€Ð¸Ðº). Mammed was also known to us for his, at times, strange taste which once presented itself in mixing an instant-chicken soup with mayonnaise from a tube and his immense intake of Tajik tobacco. During our journey, when checking out the restaurant carriage, we also met a general. If you thought of a general you probably expect an older guy in a uniform. It was quite the contrary. The general was young (in his late twenties) and travelling with his troops (dressed as you'd expect to see them) and later joined us to play cards and talk about whatever subject came to our mind. It seems it is common for the Russian Army to travel that way as it's the cheapest of all transportation. Same goes for contractor builders (which we also met) who travel long distances to make some money when there is no work in the place where they live. When in platskart (3rd class) you often won't find tourists. They go, most of the time, in the kupe (2nd) or luxe (1st) classes with closed compartments and some additional amenities. First class has 9 double separate cabins and 2 toilets. Second consists of 9 separate quadruple compartments. 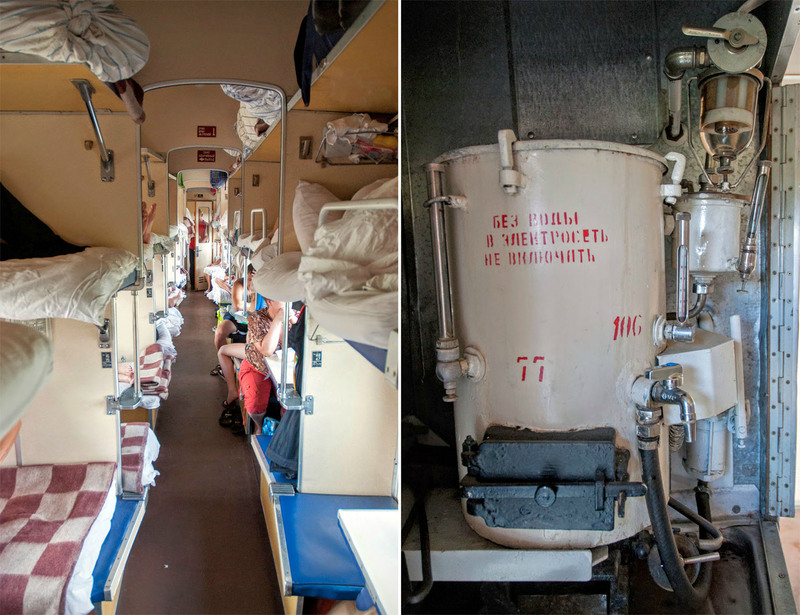 You can find more detailed differences by googling “Russian train classes”. In general it's a higher standard and you surely can feel the difference but… where's the fun? Sometimes you are bound to pay more because there is no third class available as we've got to know when departing from Ulan-Bator in Mongolia in the later part of Transsib 2014 project. Possibly this happens on international routes when the particular train goes directly from Moscow to Beijing. Finally, at 5194 kilometer of travel we have reached Irkutsk. The first stop in our adventure on the Trans-Mongolian route and one of the largest cities in Siberia. In 19th century, due to exile of many artists, officers, and nobles after Decembrist revolt, it has became an intellectual center of the Siberia. Still, it plays an important role in the region and often is the place where many journeys start – especially those towards Baikal. That was our plan as well. 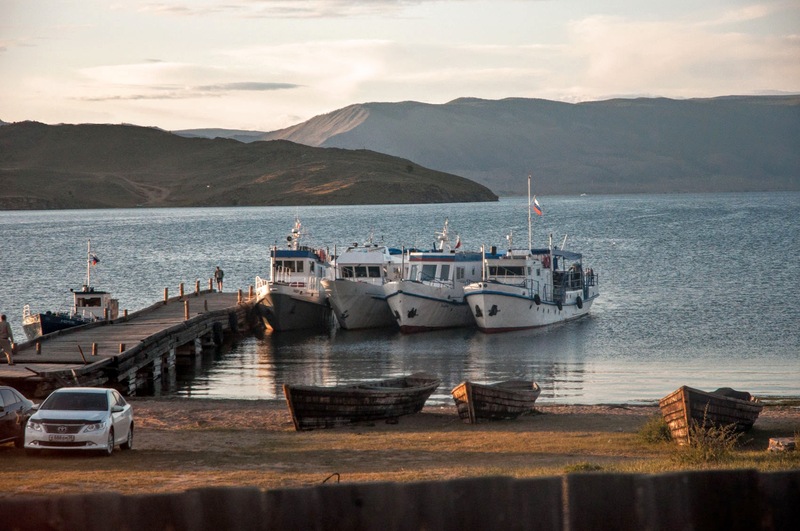 We were to visit Olchon, the largest island on the Baikal lake, and stay there for a few days. It was going to be a six hour ride but that's for another story. The Russians have a saying that "the slower you go, the farther you will be.0. 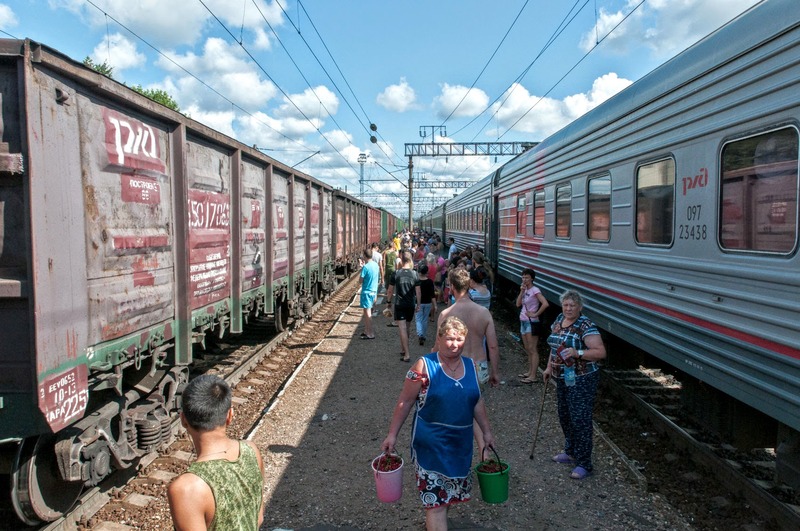 Thanks to the fact that trains do not run through the Russian empire as fast as Western or Japanese trains do you can experience the true life on rails. You can see more than you could while speeding through the vastness of Siberia – farther in your understanding of people, culture, cuisine and… yourself. Editors Note: Marcin is a typical dream fulfiller. After a long time of imagining being here and there, he decided it is high time to stop thinking and just do. From that time he started naming some of his dreams ‘projects.’ And what projects! You can find some of his most inspiring stories and photographs on his blog: http://www.marcinkonkel.com. Don’t miss out on visiting. Thank you for reading. Tell us what you think and leave a comment. Copyright of text and all photographs belong to Marcin Konkel and cannot be used in any way without prior written consent from the author.